Sunshine and the beach in a bottle. 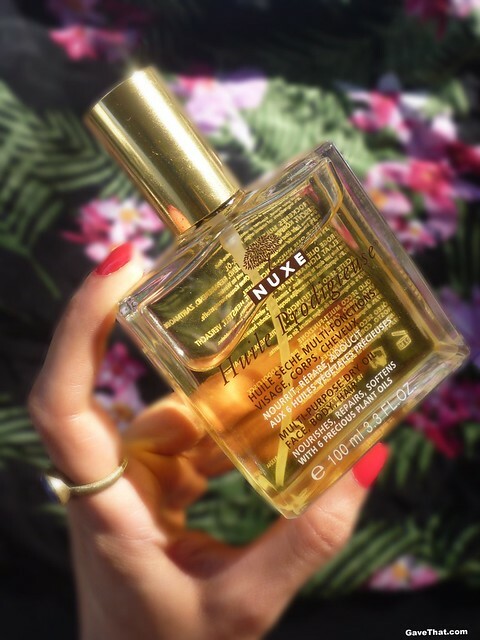 That's the only way I can describe the loveliness of Huile Prodigieuse by Nuxe. A bottle that forever seemed omnipresent in every single French women's beauty cabinet. For years it baffled me. What exactly was it? Why was it always there? At first I assumed it was a perfume except it would always seem to be next to the rest of their skincare, never by their perfumes. Yet, if they did happen to mention it, which was rare, it was always about how good it smelled. Then one day I learned it was a skincare product that many loved to use in their hair. After discovering the wonders of dry oils and how potent perfumes in oil form can be I decided to order some. Only to learn they ended up coming out with a perfume version. As it turns out I think the oil version is really versatile as a fragrance, even more so than the perfume, and plenty potent. Only two spritzes for the most lovely, fuzzy orange blossom scent tinged with warm vanilla, macadamia and sunscreen. Mostly it's straight up white floral neroli (orange blossoms), be forewarned, no pastry or Hawaiian fruit punch. Instead a lighter Elie Saab. As it settles in it smells like bronzed skin from a day at the beach only without the damage and brown spots. A really fine mist spritzes out and rubbing it into the skin briskly seems to make it both come alive and linger all day. French actress Corinne Calvet's words ring true again, "In 15 minutes the scent disappears as the oil is absorbed into the pores. But later, when you go out, when you are dancing, when you get warm, the oil is activated again and the perfume comes out and is detectable again...". It comes to life when it needs to which has equaled love. Another love is layering it with a little Egyptian Musk which transforms it into something clean and slightly green even. A whole new perfume. 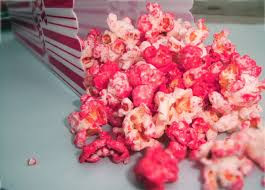 Thoroughly addictive. French pharmacies are unsung bastions of really good gift shopping but you can also find Nuxe here, thankfully.